Sharing is caring, they say. Our parents and teachers implore us to share with those around us, especially with those we see are in need. When our friends need help, we want to lend a hand. These are great qualities, but is everything meant to be shared? Prescription medications, especially the stimulants for sleep disorders or ADHD, should not be used by anyone except the person they are prescribed for. When someone is under the care of a physician for a diagnosed attention or sleep disorder, they have a team of health care professionals that can tailor their medication needs to their exact situation. Age, gender, general health, family history, allergies, and physical size all play factors in a stimulant medicine’s use and dosage. The patient is checked numerous times during the course of taking stimulant medication to ensure there are no dangerous reactions or side effects and the drugs are doing what they are intended for. These are important steps taken to prevent severe side effects and maintain the effectiveness of the prescription through possible tolerance levels. While many teens, and even adults are diagnosed with attention and sleep-related disorders, others are not. Maybe they don’t know how to explain what they feel to a doctor or think they will be judged. Maybe they can’t afford health care expenses. Maybe they feel they’ve seen enough information online to self-diagnose and handle it without the cost and hassle of a doctor. In other cases, teens and young adults can be put under extreme pressure to succeed. Whether it’s their parents and family expectations, the demands of work and home life, or just their own lofty goals making them a perfectionist and workaholic, people are only human. Bodies and minds are not made for constant action and use. 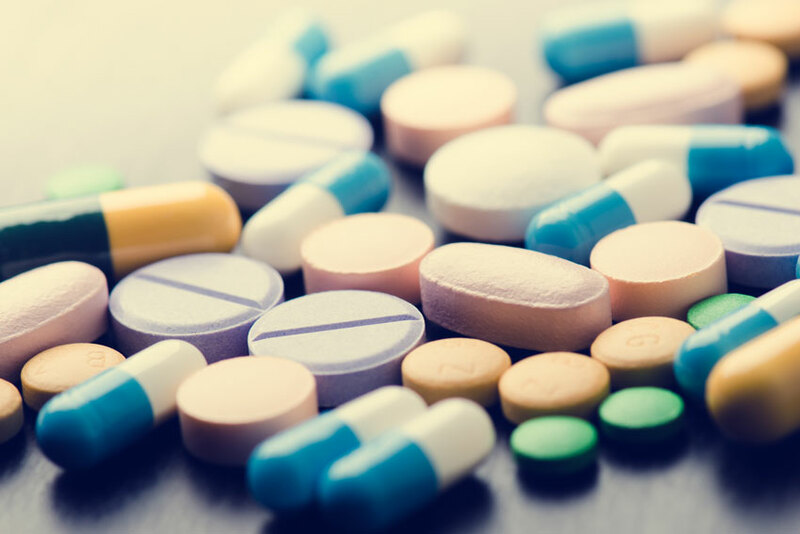 Using prescription medications—whether it’s stimulants or painkillers—in ways other than those they are intended, or by people who may not need them, can have dangerous consequences. Depending on how they are ingested, whether the person is taking any other substances/medications, and their physical makeup, the desire to get high or boost attention could land them in the emergency room – or the morgue. Prescription stimulants such as methylpheidate (Ritalin, Concerta) and dextroamphetamine (Dexedrine, or Adderall if combined with amphetamine) increase dopamine and norepinephrine. These two chemicals are naturally-occurring in the brain and control the reward center of the brain, or cardiovascular, blood sugar and breathing, respectively. Following the prescribed amount, these medications will cause a euphoric “rush” as well as increasing a person’s breathing, blood sugar, heart rate, and blood pressure—but decreasing blood flow by affecting the blood vessels themselves. If a high dose of these stimulants is swallowed, injected, snorted, or smoked, the consequences increase drastically. The body temperature can rise to a dangerously-high level, seizures can occur, and the heartbeat can become irregular, potentially to the point of causing the heart to fail. When prescription stimulants are misused repeatedly, other effects may present themselves. These psychological problems add onto the physical ones, and can include anger, psychosis, and even paranoia. These open an entirely new can of challenges, as the medicines meant for regulating the brain are causing it to go haywire. There is always the very real and very hazardous effect of mixing medications. Some medicines just do not work well together. Others can cause severe complications stemming from drastic chemical reactions inside the body or amplify the effects of even a small dose of prescription stimulants to dangerous levels. Conversely, the stimulants may reduce the effectiveness of or completely shut down any medications the person may be taking or need to take on a regular basis. As with any medication or substance, a tolerance can develop. It becomes less effective at providing the necessary reactions in the brain or giving the user an effective “high”. Once multiplying dosage amounts stops increasing the effectiveness, people who have grown addicted to stimulants need to find an addition or replacement. Many options exist in the world of illegal substances, but some of the most common are cocaine, heroin, and methamphetamines. The danger with these is the unknown. With prescription drugs, the medicine is pure and controlled by chemists. Street drugs can have a variety of things added to them that decrease the purity and make knowing what you’re taking a game of Russian roulette. Once a tolerance has been developed, a physical addiction is likely formed. After taking prescription stimulants in ways not monitored by a skilled physician, there is a high risk of the brain to lose its ability to produce and maintain its own dopamine and/norepinephrine production. It now relies on the drug to tell it what to do instead of making the chemicals automatically based on situations. The need for a stronger high can force those now in the throes of a substance use disorder to make poor choices and take unnecessary risks to fulfill their desires. For example, taking anything intravenously can lead to the possibility of contracting HIV or another blood-borne disease. The very real threat of overdose is at this point as well. While attempting to recreate the stronger effects of early use, someone may try using a larger dose. When this dosing becomes the tolerance threshold, more is added. This can continue until a lethal dose is taken unknowingly while in search of the elusive feeling they’ve become addicted to. According to a 2016 study from Johns Hopkins, misuse of Adderall (dextroamphetamine and amphetamine combination drug) rose 67 percent between 2006 and 2011. The bulk of those misusing the ADHD drug (60 percent) were young adults aged 18-25. Also of note, emergency room visits where people who misused Adderall were brought in by friends and family increased 156 percent. If you or someone you know is misusing a prescription for a stimulant, please know that there is help available. The 2017 National Drug Threat Assessment shows that more people reported misusing controlled prescription drugs than those reporting use of heroin, cocaine, and methamphetamine combined. No one needs to suffer in an addiction alone. At St. Gregory Recovery Center, there are always people who understand and will listen! To learn more about programs offered at St. Gregory Recovery Center, drug rehab in Iowa, call and speak with someone today, at (888) 778-5833.